We are situated a two minute walk away from Bethnal Green tube and overground stations at 231 Cambridge Heath road and have been a major hub of the nightlife and social scene in East London since we opened back in 1998, becoming one of the major comedy clubs in the capital with our esteemed reputation for great laughs and good value. 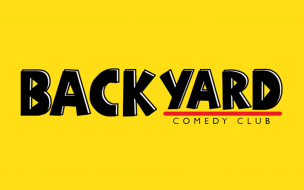 Since reopening with our new state-of-the-art venue and bar in 2013, we have expanded our horizons beyond stand-up comedy, and now also host many other nights such as variety shows, cabaret events, swing dancing nights and all sorts of charity events. Our place has a vibrant, friendly atmosphere, so if you are at a loose end and fancy a drink, a nibble and some fun games, pop down for a visit. You don’t even to have to watch the comedy if you just want to come and relax.